We recently sat down with Jamie Weaver of Dream Weaver Photos to learn from her how she has boosted profits from selling albums. What she had to say was intriguing. Brides want albums. They don’t think they do but really brides want albums. Brides think they want the disc. 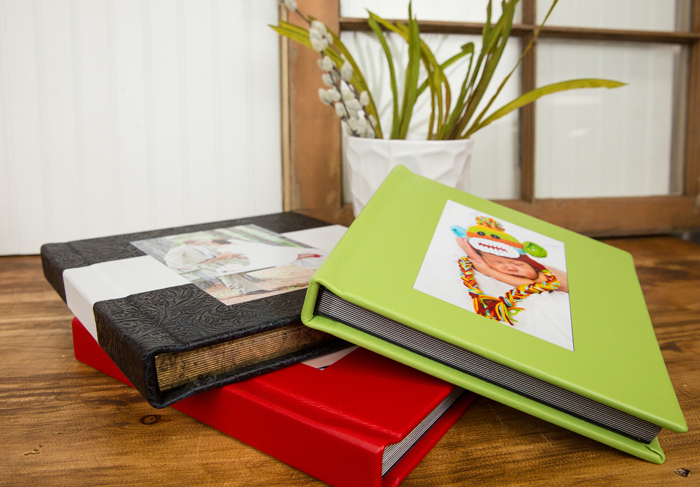 Brides think they will have time after the wedding to put together a book or album on their own. The reality is life gets in the way. They may start a layout but they never finish. Let’s see how Jamie sells albums to every bride that walks through her doors. How do you create a demand for albums and ensure all your clients receive one in their package? First, I show them the value of an album. If they can come to my studio (or meet at the venue) then I bring a sample album from Black River with me. I let them hold it, turn the pages, feel how nice it is. If they are a destination couple, I speak to them about the album. I have photos of all the albums I offer. I share these with the couple. I ask them if they ever looked through their parents or grandparents albums. They probably have never looked at their parents wedding online. Prints and albums last forever. Online doesn’t. Imagine if their grandparents had computers, do you still think you could see all those photos? I tell them that they can’t show their wedding story on a disk at work, or at family gatherings. I tell them it will last longer than their car. Their grandchildren will be looking at this album. Essentially, I create a need in my brides for an album. I paint a vivid picture of what life would be like with and without an album. The life with an album scenario is always a better scenario. Secondly, I sell it!!! I include it with the cost of their wedding. If they want to take it off, I take it off at less than half. For example, say the album is worth $1,000, I might take $300 off the price. I create monetary value in the album. You are probably saying ‘Yea that’s great and all BUT I have a handful of brides that never got back to me with their image choices.’ Over the years I have developed a system that is so easy that anyone can do it! I stay on the brides until they choose their photos. I always have a friendly email being sent out 4 times a year, sometimes more if needed. I express that the album NEVER expires, however, each year they lose 8 pages. In order to replace those pages, there will be a cost associated with it. I have yet to have a bride that does not fulfill her album. What is your biggest challenge in selling albums and how do you over come it? What is your workflow for albums? I use BRI’s Cascade software to create all my album layouts from scratch. I love Cascade. It is easy to navigate and free! First, I make it easy on the bride and groom to get the image files they want to use in the album to me. I use dropbox.com. The bride/groom uploads and then sends me a link. If you are not using dropbox.com, you should be. It has made my life simpler. Second, I remind the bride and groom of how many images they should send me depending on the size of their album. I normally will not put more than 2.5 images on a page. Therefore, if the album is 40 pages, I need approximately 100 images of their choice. Every wedding can be summed up in 5 parts: Before Ceremony, Ceremony, Family/Wedding Pictures, Just Us, and Reception. I take each part and working on it individually. I dedicate a minimum of half a day and a maximum of a full day to designing each section of the wedding. My time investment in designing is 20-40 hours. That may seem like a lot of time in just the designing portion. It is a lot of time, each album layout is custom, unique as the couple featured in it. Plus, I cover my time invested in the cost of my packages. Here is a quick tip for you: Sometimes, I start designing the end of the album first, it seems to make building the album go a little faster. Cascade allows you to change the order of the pages. Because of this feature in Cascade, I can design in whatever order I want and always go back and place them in the correct order. I know there are some of you that dread building albums, if that is the case, there are companies out there that will design your layouts for you starting out at about $4 a side/$8 a page. I don’t use these companies simply because I was at the wedding, I know the order the events took place and I like to design album layouts. This is also another selling point for me. I custom design your wedding album from scratch for you….Learn to speak the brides language and they will buy every time. Jamie is the owner of Dream Weaver Photos located in Savannah, Georgia. Follow Jamie on Facebook and Twitter. Use code ALBUMBOOK unlimited times on qualifying items. *Offer valid in Cascade and ROES for Albums (Sierra, Tuscany, Mosaic, Glacier, Destiny), Photo Books, Picture Books and Accordion Books. Offer valid on website for Accordion Books. Offer not valid for Sample Albums/Books, Preview Books, Card/LOFT products in Cascade or Custom Boxes for Albums/Books in ROES. Cascade may not reflect correct discount at checkout. Correct discount applied when order is invoiced at shipment.